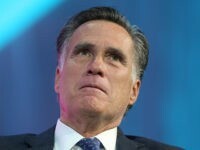 Behold the smeared, clownish face of politics in America today. A self-absorbed loser whose weak mind has been twisted into a haunted house of pharmacological drugs and psychotic Internet fantasies commits unspeakable crimes against some of the very finest, most loving people you could possibly find in this corrupt world. 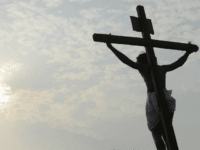 Nine people savagely killed in church during prayer group. Citizens of South Carolina weep. Vengeance is demanded. An entire nation mourns. Political antennas, meanwhile, twitch to life with all the bright lights and television cameras so near. Politicians sense opportunity. A bipartisan throng of tragedy whores takes the stage to address the wicked travesty. They are going to DO something about this evil crime! They are going to demand — that a flag be taken down? Nine good people dead at the hands of a psychotic imbecile and the bipartisan response of politicians in South Carolina is to remove a flag flying 100 miles away from the scene of the crime. This is precisely why people despise politicians. It is as if the more serious the situation, the more unserious their response. Even people who have long fought to remove the Confederate flag from a monument outside the South Carolina Capitol must now marvel at the spinelessness of politicians who would capitalize on such a tragedy. It raises the question: Does removing a flag from a flagpole a hundred miles away make these politicians feel better about nine good people being killed in a church? Or does it just make them feel better about themselves? And what about Gov. Nikki Haley and Sen. Lindsey Graham, two politicians who have suddenly changed their positions about the flag in question? If so, then by their very own strange definitions and tangled principles, they themselves are partly to blame for arguing so long to keep the flag up in the first place. The blood of those nine good people gunned down in church on the hands of Gov. Haley and Sen. Graham — again, based on their own feeble logic. The truth is, this awful crime is not the result of a flag. It is not about groups of white supremacists seething in the countryside. This guy, he is such a loser that even white supremacists didn’t hang out with him. In all the pictures on his silly website, the little punk is all alone. He can’t even find somebody to take his picture posing with a handgun or a rebel flag. He has to rest his camera on a tree stump, stand back and mug. Threateningly. Either way, despite the olympic efforts of the media to parrot and promote his nasty musings, the selfish little jerk was not part of any big movement. Truly, he was a confederacy of one. And a dunce at that. The wicked little fiend emerged from a fetid swamp of abuse, neglect and a broken family. He was on dangerous drugs designed to alter the mind. He got sucked into the only place he could find that reflected his own mangled thoughts, the Internet. All these vastly complex forces we see time and again destroying shallow minds and turning weak people into ticking time bombs and taking innocents with them. And all the politicians come up with is taking down a flag from a historical marker more than 100 miles away. No wonder everybody wants to see them all thrown out. 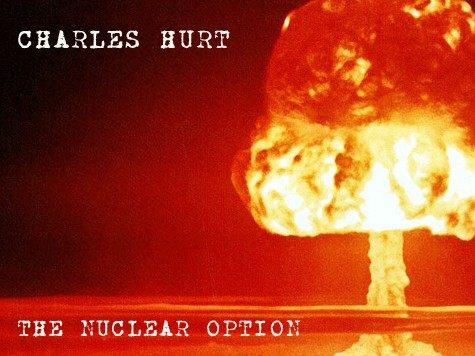 Charles Hurt can be reached at charleshurt@live.com and on Twitter at @charleshurt.